Speed reducers, or gear reducers, are tools that will enable you to control the speed of your motor. These tools will allow you prevent your motor from overheating and will also set your motors to contribute to precision functioning. Gear reducers are mechanisms that are widely used in motor-driven machines with gear boxes. Allowing users to control their motors boosts efficiency, saves energy and protects motors life-span. There are two types of gear reducers available in the market today. These are some of the benefits each of them offer, we all as their more common applications. If you want to learn more, don’t hesitate to visit or call us with any questions! Gear Worm Reducer: This is the first type of gear reducer available in the market today. This type of speed reducer is most appropriate for technological operations. 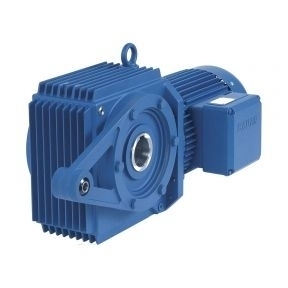 Gear worm reducers are ideal for high-powered devices because they perform optimally in such machines. They are commonly used in cutting-edge and sophisticated equipment to meet maximum capacity. This is type of reducer is mostly made of steel, making them very durable for heavy applications. They are also built and engineered to work at a fast pace. They are also not prone to overheating, making them even more ideal. Planetary Cycloidal Reducer: This type of gear reducer is commonly used in military use as well as aerospace utility. Featuring a very prompt transmission, this is a type of speed reducer that has the ability to expedite speed reduction at a good ratio. They also offer much higher output compared to the first type of reducer. The cycloidal reducer also requires less maintenance. Come and visit Bauer GMC to see for yourself – we carry industry-leading gear and tools to meet any project’s needs. When it comes to power transmission, we strive to provide top of the line service and products.